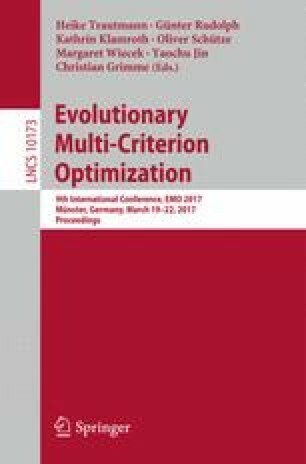 This paper proposes a benchmark for multi-objective optimization based on video game playing. The challenge is to optimize an agent to perform well on several different games, where each objective score corresponds to the performance on a different game. The benchmark is inspired from the quest for general intelligence in the form of general game playing, and builds on the General Video Game AI (GVGAI) framework. As it is based on game-playing, this benchmark incorporates salient aspects of game-playing problems such as discontinuous feedback and a non-trivial amount of stochasticity. We argue that the proposed benchmark thus provides a different challenge from many other benchmarks for multi-objective optimization algorithms currently available. We also provide initial results on categorizing the space offered by this benchmark and applying a standard multi-objective optimization algorithm to it.